FOSTERING - WE REALLY NEED YOUR HELP!!! FOSTERS ARE IN SHORT SUPPLY! We are in DESPERATE need of people who are willing to open up their homes to temporarily keep a Greyhound that has recently come off the racetrack, or that has been returned due to a change in lifestyle. A Greyhound's foster parents play a vital role in the transition period from life on the race track to beloved house pet. This job requires a lot of patience, and mental strength (especially when your foster Greyhound is adopted) and most would probably agree that this is among the hardest--but if you have ever spoken to anyone who has fostered before, they will undoubtedly tell you that this job also brings a lot of rewards. A foster dog may stay within your home for a short period (a few weeks or a month) or may stay with you for longer (say, five or six months). This is conditional upon such factors as the dog's age, or time of year. It is within this transition period that the newly retired Greyhound learns what it is to "be" a dog. It must be taught such things as, but not limited to, climbing stairs, basic commands such as "sit", and how to play with toys. The Greyhound must also be introduced to mirrors, blinds, glass doors, other small pets, and may need to be housebroken (Greyhounds just off the racetrack are already crate-trained, and thus are usually rather quick to housebreak). 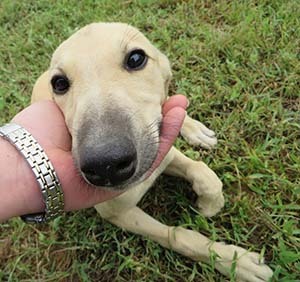 This can be a very frightening and exciting experience for your Greyhound, and that is why we only accept the most loving and patient foster parents. If you want to foster, we first require an in-home interview (a process similar to adoption of a Greyhound)--to see if your home would make an appropriate foster home--i.e. 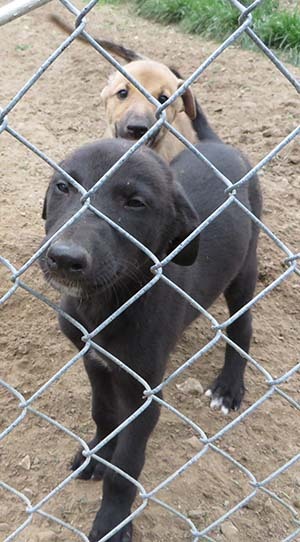 having a fenced in yard, or the need of a cat-safe foster, etc. The person to contact regarding fostering (and she would love hearing from you!) is Jane Jackson at greyworld5@yahoo.com. As with any non-profit organization, monetary donations can always find a place for good use. This is one very important way you can help. 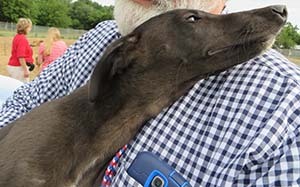 Many people who do not have enough time in their schedule to volunteer at events, or aren't home enough during the week to care for a foster Greyhound, find great satisfaction knowing that they can greatly help others to do those things, and are in turn helping the Greyhounds themselves by simply making a monetary donation.